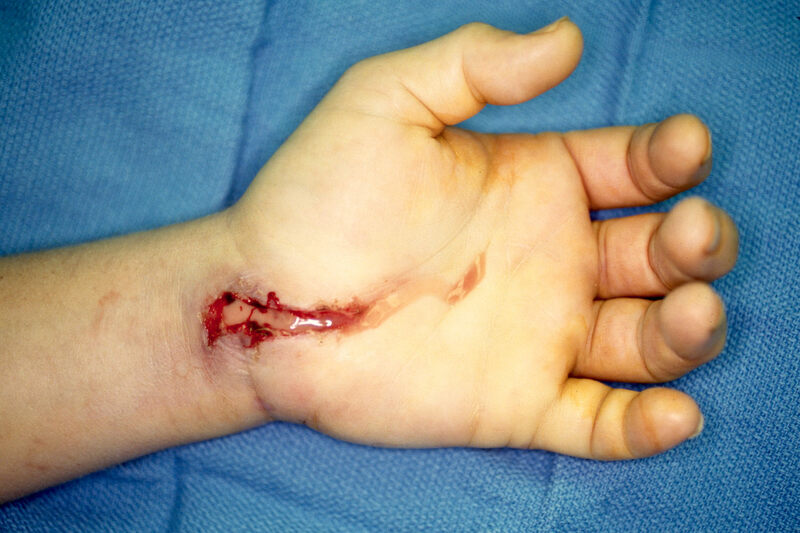 Elective hand surgery has a very low risk of infection. However, when infections do occur following surgery in the moving parts of the hand, the problem can be catastrophic, because the slippery synovial tissues which cover the inner moving surfaces both allow infection to grow and allow it to spread easily to other parts of the hand. This patient presented about a week after carpal tunnel release by another surgeon, complaining of worsening throbbing pain in the hand and pain with any movement of the fingers. 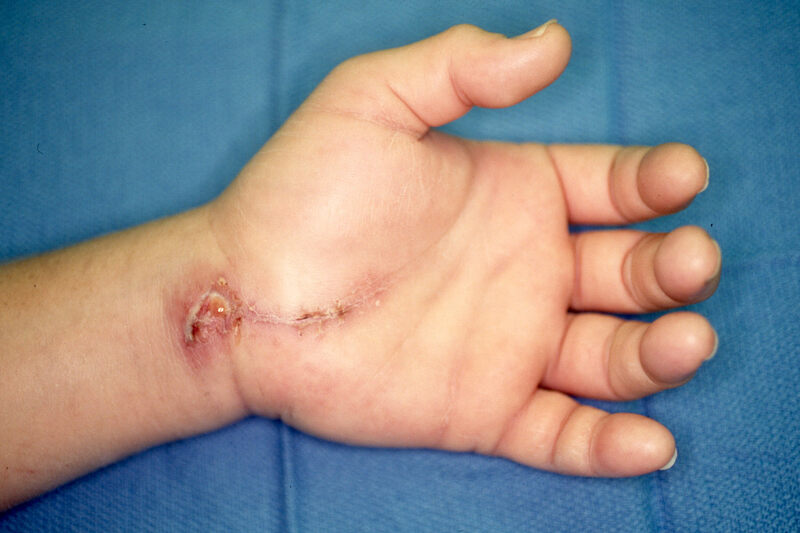 The carpal tunnel was found to be filled with pus from a staph aureus deep wound infection. 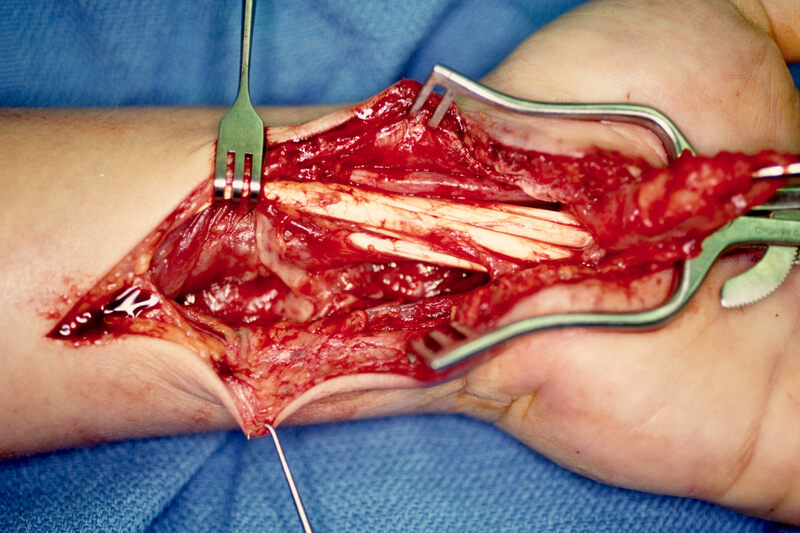 Infection spread into the forearm through the flexor tendon compartments and deep to them in the retroflexor space (Parona's space) as well as up into the small finger flexor tendon sheath. She was treated with repeated radical debridement, intravenous antibiotics and selayed wound closure. Her infection was cured, but she was left with stiffness of the small finger.